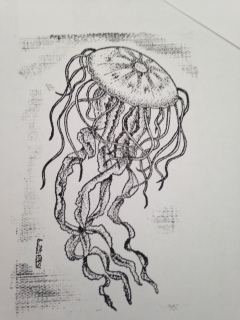 We have recently been doing some development work with Jenny Beard a local artist to see if we can produce some detailed laser rubber stamps. We like challenges. 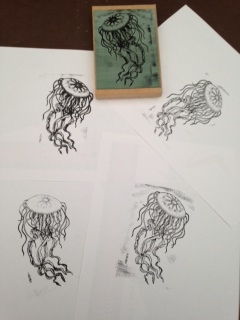 This is stamp (A6 size) and the first four prints from it. The stamp was inked with a roller loaded with printers block ink and then pressed onto heavy weight paper in our old book press. 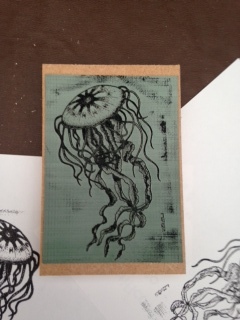 Closer view of the stamp which is made of 2.3mm eco laser rubber mounted on a wooden block. 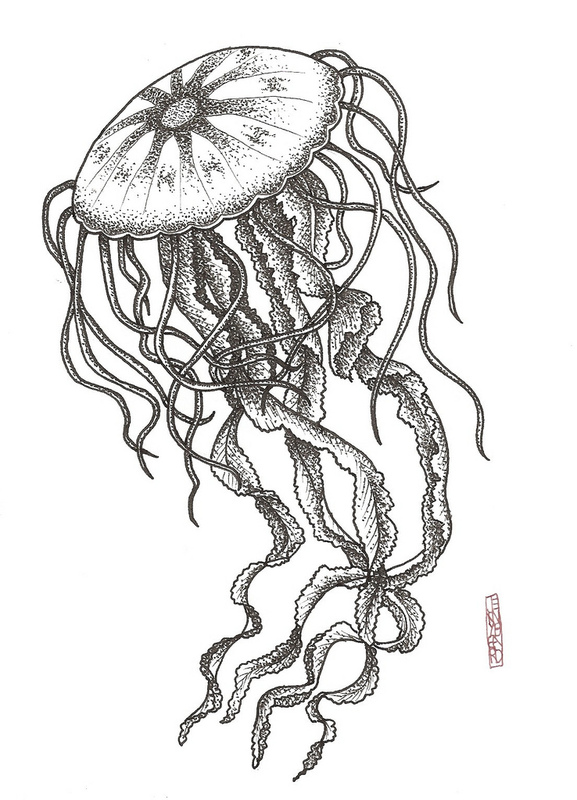 Jenny’s original drawing (copy) which was used to create the laser stamp. I have just published a detailed instruction of this process on INSTRUCTABLES.com where its is a featured project.